I’ve been told that this epistle is often taught in colleges of law, not for its spiritual content, but for the irresistible logic that Paul the apostle uses to build his Scriptural arguments in assertion of the fundamental principles of the Gospel and all that this entails. We have seen how the Law of God is used lawfully as a means to establish the holy standard of God’s righteousness and thus revealing the universal condition of mankind’s sinfulness and this without exception: all are condemned by the holy Law – the immoral pagans, the moral Gentiles and the religious Jews. We have then seen how the Gospel is established as the exclusive means of salvation for all the world through Jesus Christ, the Messiah of Israel and Savior of all the world (that is, for all who call upon His Name) and the justification that is offered by His blood atonement on the Cross. We then observed how sanctification is brought about in the life of the saint, once they enter into salvation via the justification of Jesus Christ; this is an initial step upon justification but also an ongoing process in the life of the saint that will know its completion once we are brought to heaven and meet our precious LORD face to Face. At that time, we shall know glorification, and shall inherit incorruptible, immortal bodies fashioned after the LORD’s own glorified body which He presented to His disciples after His resurrection. We then examined the latter half of the epistle in chapters nine, ten and eleven where Paul produces his evidences for Israel and how this nation yet still has a viable, and foreordained future (that is, the believing remnant) once the Messiah returns to claim His own and they receive Him as their reigning King – Who at that time will defeat the anti-Christ, the False Prophet and the kings of the earth that oppose Him at the so-called ‘battle’ of Armageddon. 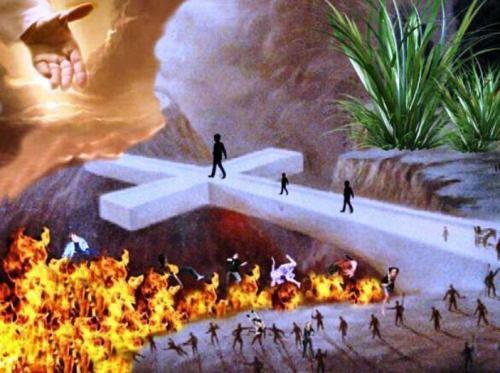 We are seeing a tidal wave of false teachers who have been given the green light to spread their poisonous doctrines because of a deafening silence among many Bible believers. Church congregations are being taken over by wolves in sheep’s clothing who are perverting biblical truth and ravaging the flock of God, leading many to their destruction. Jesus stood face to face with false teachers and called them out publicly. Matthew 12:24, "O generation of vipers, how can ye, being evil, speak good things? for out of the abundance of the heart the mouth speaketh." Apprising Ministries recently posted a really great article written by Dr. Harry Ironside called, Exposing Error: Is it Worthwhile? I really felt it was worth a re-post! As we continue in our examination of The HARBINGER, it’s vital to understand that the only nation that God has established a covenant with is Israel. Any covenant of God is that which the LORD Himself initiated and established, both in its terms and application. No nation can take it upon them selves to make a covenant with God, nor do we find any biblical precedent that exemplifies such an idea. WHAT’S THE FUTURE HOLD – FOR AMERICA and ISRAEL? “The extent of the geographical boundaries of the promised land is very specific and must be understood literally. To do otherwise is to spiritualize God’s promises and turn the historical text into an allegory. "America’s founders were therefore biblically wrong on several counts. Those founders who may have held even an early form of Anglo-Israelism were wrong. Those who held an American covenant view were wrong." Cahn never denies Israel in her present state as being the work of God, nor does he assert that Israel has no future; he simply doesn’t acknowledge any of this in his novel. Israel on her own merit is conspicuous in its absence in this book!“The HARBINGER leaves ancient Israel lying in ruins and then jumps forward to twenty first century America, which does not include the whole story – a very important part of the story, in the context of judgment. It would be difficult to overstate just how serious this issue is. This would seem to suggest that Israel has forfeited her place in God’s eternal plan of the ages (and so now, its America’s turn?). Cahn would not need to deviate from his exposition very far in order to bring these scriptural truths to the fore; in fact, he could use the very same chapter from Isaiah that is the basis of his book! The coming Messiah will rule over the house of Israel at His second advent and the government will be established by Him and His reign will be forever (and EVER!). These are precious promises for the future of Israel that Cahn never even (briefly) touches on, and instead, focuses on America (which even if we are restored, after a time of repentance, is only a temporary nation that will not outlast this old Earth, or the nation of Israel which will find a future upon the New Earth and New Jerusalem!). THE NINE HARBINGERS – The mystery of this story revolves around nine engraved discs from thousands of years ago; a tenth disc is given to Kaplan as a sign that he is appointed as a “watchman on the wall” to sound the alarm of America’s coming judgment and to call her to repentance before God’s final judgment is unleashed against her. Yet how ‘real’ are they? Certainly these discs prove quite convincing as Cahn paints a prophetic picture, but what he doesn’t do is present all of the facts which would paint a different picture entirely. This we shall see as we follow David James along as he uncovers these things for us. ~ Fact Concerning Israel: God removed His hedge of protection from Israel which allowed the Assyrians to attack the nation. ~ Claim Concerning America: God removed His hedge of protection from the United States, which allowed the terrorists to attack on 9/11. The term “hedge of protection” is used in two cases only in the Old Testament, once concerning Job (Job 1:10) and Israel (Isaiah 5:5); when addressed in the New Testament (Matt. 21:33; Mark 12:1) it’s in reference to the nation of Israel. While God can erect a “hedge of protection” anywhere, and with any one He wants, because He is sovereign and able to do so, there is no such indication anywhere in Scripture that He has in fact, placed such a “hedge” around any other nation other than Israel, including the United States. Thus any claim that God has placed a “hedge of protection” around America is invalid, and if such a hedge never existed, then it could not be breached. Furthermore, if that hedge was breached, then why aren’t there more attacks from the enemy on American soil, even though many dozens of attempts have been made since 2001? An average of about fifty five attempts daily or approximately 20,000 per year! America has been attacked before, according to the findings of David James: Pearl Harbor of course (an American territory), and then the following year, Japanese occupation of two Aleutian Islands in Alaska (U.S. property); more than a century earlier (when America was a more righteous nation than perhaps ever before?) the British captured Washington D.C. and burned to the ground. In 1920 a TNT bomb on Wall Street killed 35 people (believed to be the work of Bolshevist and anarchist terrorists); Puerto Rican nationalists in 1975 claimed to be responsible for a bomb in New York City that killed four and injured more than 50 people. In 1993 the World Trade Center was bombed by foreign nationals (Al Qaeda was suspected) with the intent of taking down both towers (killing six and injuring over one thousand). David James continues: “It becomes clear that any event could be interpreted any number of ways when the literary context doesn’t provide the exclusive framework for interpretation. It is this method of handling the biblical text that so frequently exposes Christians to the challenge of the well-woven cliché ‘Well, that’s just your interpretation.’ [Or even the New Age-friendly expression: ‘That’s your truth’]. Because of the fact that Cahn has inundated his story with countless details and facts, its easy for the reader to assume that it is factual indeed, and all the facts. Yet it behooves the careful student of Scripture to make sure the facts are truly representative of the truth, and especially in light of Scripture where scriptural suppositions are made. ~ Fact Concerning Israel: The Assyrians who attacked the Northern Kingdom of Israel employed some tactics that would today be labeled terrorists. ~ Claim Concerning America: Multiple direct links between the 9/11 al Qaeda terrorists and the ancient Assyrians demonstrate that the historic fulfillment of Isaiah 9:10 is repeating itself. We are led to believe that the Assyrians more or less invented terrorism, according to Cahn, but is this so? What about the Moabites, Ammonites, Canaanites, the Philistines, the Egyptians and the Edomites? What about Babylon?? Certainly the Assyrians employed particularly savage tactics when it came to war, and prisoners of such (cutting off opposing hands and feet; piercing iron hooks through jaw bones, etc.) but to say that they created such horrific methods in brutal warfare is simply not true. Why is it necessarily the case that Isaiah 9:10 in regards to Israel and her enemies – and how this supposedly ties into the terrorist attacks on 9/11 is limited to ONLY this instance? Israel has had a LOT of enemies (more so today than ever!) and such episodes of enemy attacks have been recorded in prophetic Scripture (as early as Gen. 15:13); why then, if there really is a valid connection between these two nations, have such prophecies not found a parallel between them? [KAPLAN] “Their actual flesh-and-blood descendants?” I asked. [KAPLAN] “So ancient Israel, in it time of judgment, was drawn into war with Assyria, which is now Iraq.”[The PROPHET] “Yes,” he answered. “Who knows” said the Prophet “but that the veins of the 9/11 terrorists did not also flow with the blood of the ancient Assyrians?” Who does indeed know? 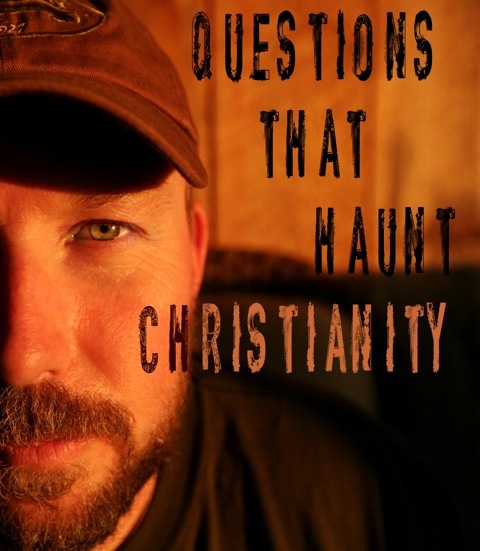 Yet by posing this question in this way, Cahn leads the readers to make an unfounded conclusion. Where is there a connection between Assyria or modern day Iraq and the Al Qaeda militant terrorists who were based rather in Afghanistan? Al Qaeda ties to more than 70 nations, and while there is a representation of this terrorist group in so many Middle East countries, Iraq is not a prominent location for such. They reside mostly in Afghanistan, Egypt, Sudan, Pakistan and Saudi Arabia and other nations – not Iraq. The majority of Assyrians today are Christians not Muslims any way, comprising about 95% of the population (having been reached with the Gospel by the apostles Thomas, Bartholomew and Thaddeus themselves. Visit Ninevah.com for more of this and learn Who Are The Assyrians. Cahn attempts a linguistic connection with the ancient Assyrian language, Akkadian, and the language spoken by the terrorists of 9/11; and while it is true that Akkadian was still a language used by Assyrian people in ancient times, and neo-syriac Modern Assyrian later, a transition towards the Aramaic language became the second official language as early as 752 B.C. “Assyria’s attacks on Israel happened years after the transition to Aramaic were well underway, even though Akkadian was still spoken and incorporated into localized Aramaic,” states David James. However, to use such thin lines in an attempt to make strong connections between an ancient language and modern usage of such by terrorists in the 20th century; Cahn also points out (validly) that the Assyrian people were “children of the Middle East” as were the terrorists holds no water whatsoever. They are a Semitic people, but so is also Israel. ~ Fact Concerning Israel: Clay Bricks were originally used as the primary building material for the city walls, houses, and most other structures. ~ Claim Concerning America: Bricks fell from buildings when the World Trade Center collapsed. 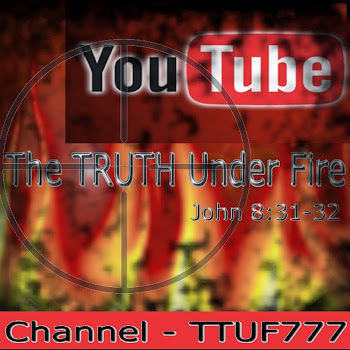 Again, what is recorded in Scripture, and what has actually transpired at the WTC on 9/11 has such tenuous association, that these threads must be ‘stretched’ in order to make connections, and Cahn does so as shall be demonstrated. There is really no correlation between what happened to ancient Israel and what transpired on 9/11. True, the Pentagon was struck, but it was not an attack on our entire military defenses. The buildings of ancient Israel that the Assyrians destroyed were composed of bricks – not stone or metal; however in the WTC, the buildings were constructed with “little or no masonry”. Did Bricks Really Fall From The Towers? A nearby brick building with a steel and concrete superstructure survived in much better condition. Ancient Israel suffered the destruction of their entire northern kingdom; New York City suffered the loss of two enormous buildings amidst some few others – this can hardly be considered a prophetic parallel. ~ Fact Concerning Israel: Israel’s leaders demonstrated a spirit of defiance against God with their declarations that the destroyed city would be rebuilt with no thought of repentance. ~ Claim Concerning America: America’s leaders followed exactly in the footsteps of Israel’s leaders when they declared that the destroyed WTC towers would be rebuilt. Yet the American leaders were not defying God, as can be readily seen when one views the various news clips and articles in context; true – they were misapplying the passage from what was intended by those who made such defiant proclamations, but as a means of comfort and solace to the American people. However, Cahn has attempted to make his case, that this is exactly what they were doing. 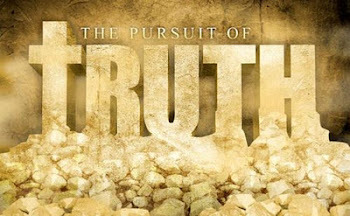 Using the word “fulfillment” indicates by both Cahn and World Net Daily (that supports, promotes and is in agreement with Cahn’s writings and presentations of The Harbinger), that this is a matter of fulfilled prophecy from Isaiah 9:10 not just for ancient Israel but also for modern day America. The claim is made that various leaders in America spoke their words of rebuilding in defiance of God, but in the context of what was said, these statements were in fact in defiance of America’s enemies (the terrorists of 9/11 and those that supported them). Then the Prophet of The Harbinger states that it wasn’t merely the words proclaimed in themselves that was the problem, but rather “the spirit and the motive behind the rebuilding”. Yet, how could motives of these leaders or those committed to rebuilding could be known by Cahn or anyone else unless they were specifically asked what it was that they did mean by such statements? Mr. James likewise points out the faulty logic of Mr. Cahn regarding the ‘tower harbinger’ and the American leaders who addressed the issue in public. Cahn asserts that these leaders failed to repent on behalf of the nation that they represent; however, since these were secular, political leaders and not spiritual leaders, they could represent no one (but themselves). Could these men have known that this was a judgment of God and that the LORD expected repentance from them? Could they possibly have drawn the conclusion that just as God judged Israel for their defiance, that God would likewise judge them for their own defiance of Him, which Cahn unjustifiably asserts? What is most telling is that Cahn quotes only the latter part of Isaiah 9:10 in the Septuagint, but not the earlier part. Had he done so, his readers would understand that this version expresses Israel as the one who cut down the sycamores and the cedars in order to build, rather than the Assyrians in wanton destruction, which would destroy his later arguments for the sixth and seventh harbingers. 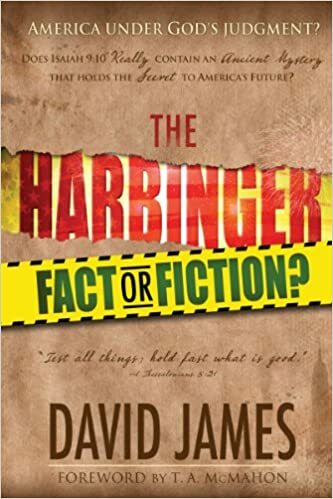 Thus we have completed David James review of four of the nine harbingers. In the next article we shall resume this review and examine the remaining five and see what can be truthfully known of these matters. Until then, remain in the grace and truth of God which is by Jesus Christ our LORD! Read more!